The discovery of a dinosaur-like creature in India has scientists mystified, although it definitely couldn't be a dinosaur. 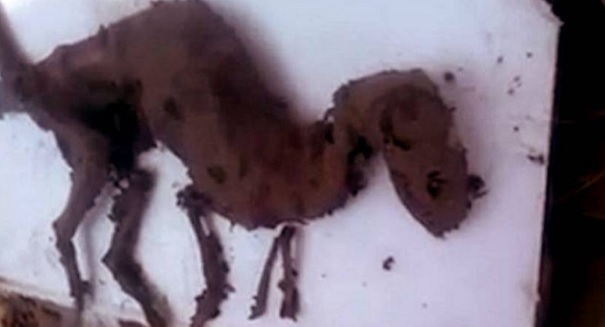 An utterly bizarre discovery in the city of Uttarakhand in India has scientists completely mystified. It appears to be a dinosaur with flesh still on its bones, and researchers are currently analyzing the corpse that was discovered by an electrician that was cleaning a sub-station. However, it’s certainly not a dinosaur, as it is believed to be 35 years old and thus could not be a member of a species that went extinct 65 million years ago. What it actually is won’t be known until tests are done, but the results are likely to indicate a much more commonplace animal. The shape and structure of the animal’s body certainly mimics that of dinosaurs, and researchers will carbon date it to determine its real age. The substation it was discovered in had been untouched for the last 35 years.